The Singularity lies at the heart of a Black Hole. Gone past the Event Horizon I believe. Journey On to the Centre. ‘Produced from the implosion of massive stars, black holes are wells in the fabric of space-time so deep that nothing, not even light, can escape them. At the center of a black hole is what physicists call the “singularity,” or a point where extremely large amounts of matter are crushed into an infinitely small amount of space. What do you mean We ? Yesterday I had a Bunny morning. There were rabbits everywhere. Breeding like rabbits, I suppose. First I went into my local Sainsburys grocery store and there was the White Rabbit rattling her tin. I then had a look at the front pages of the papers and The Sun said the chocolate bunnies were melting in the heat. And I then went into my local mall, The Belfry, and met Peter Rabbit and companion. The Sun Flower, Black Hole and the back drop. And perspective. So following the White Rabbit. HP Lovecraft : The Call of Cthulhu ( Thanks Jen ). “The most merciful thing in the world, I think, is the inability of the human mind to correlate all its contents. The OA – Old Knight. And which way is the Umbrella ? Depends how you look at it. The Ending of Eyes Wide Shut. Go ask Alice when she is ten feet tall. At an interview for my passport application on 10/10, in the discussion I was told that in other dimensions things are bigger. Just a normal passport application interview ! Room 8 ( Thanks Jen again ). From The OA : Overview. And Giants. In the OA during the Rose Window scene, Karim is seen wearing a World Series 2010 shirt. I know virtually zilch about the World Series but a quick Google said it was between the San Francisco Giants and the Texas Rangers. San Francisco won 🙂 . I think it’s going to be a mad final episode. Eye Spier something beginning with. Pet Goat 11. Adam waking up and Eyes Wide Open. The In Spiral Staircase in Reigate. Look Familiar ? It’s All About You. Last Saturday night / Sunday morning Sydney Monfries fell to her death down a spiral staircase in the Bell Tower in Fordham University, the Bronx, New York . Click Mail Online. As amazing as some of this is, it is a bit grist to the mill on Merovee. The magical becomes everyday. Last night, I was speaking to Jenny and for about five seconds she transmogrified into Jennifer Connelly. I said to her ‘By the way, you just transmogrified into Jennifer Connelly’ and she replied ‘OK then’ and we carried on talking as if it was totally normal. And yesterday Roob had a giant alien jellyfish flying overhead and we say ‘That’s Interesting’. And it was in truth. I hope I never lose the WTF feeling. The Notre Dame fire has triggered a thought in me and I’m not sure exactly what I’m seeing. And as someone said to me ‘At present, probably any mad idea you may have is correct’. Just following the rabbit. To follow my train of thought, it helps if you watched the final episode of The OA Part 2 titled ‘Overview’. And even then you may not understand but I wouldn’t worry. I maybe insane but I don’t think so. In the episode, one of the characters Karim Washington manages to find and open an important Rose Window in a house in San Francisco. And Karim finds himself overlooking a film set of his version of San Francisco, in presumably another dimension and the film set contains cardboard cut outs of the buildings in his dimension. In an email, Jen wrote the Notre Dame Cathedral looks like papier mache as the Cathedral burned. And since then when I have looked at the images from the fire, to me the Cathedral has looked like a cardboard cut out in a similar fashion to Karim Washington’s overview. The date of the Notre Dame fire was 4/15. Fahrenheit 451 is the temperature at which paper spontaneously combusts. And since then, when I’ve been out and about, I’ve had the sensation which comes and goes that the buildings around me are Toy Town buildings. For example here is a pic of a new house that has been built a few doors down from me. And as I passed for a fleeting moment, I got the feeling I could bend down and pick up the deer. Maybe a sign of on set lunacy. It’s early days with this but there maybe a clue with LOL. And a confirmation for me that I’m on the right track with this, shortly after I published the article I walked past a lingerie shop called All About You. And in All About You was a miniature house. And in more bizarre Merovee news, Anon has passed the Alpha Bethlehem torch to Frank. Over the years, I have occasionally said I don’t want to play Monopoly any more, I want to play Twister. The loss of His Story. It’s a Catastrophe. Feline It ? I wouldn’t know where to start with the last few days so won’t go into all the connections and what not. Seeing a black hole, more giant alien octopi, the Pope kissing feet and an interdimensional storm in Texas and the rest. As I write this, Paris is burning and the Notre Dame cathedral is on fire. Seems to go with everything at present. Time in reverse and the Cosmic Mirror. I see all these events as reflections of what is going on within consciousness. And Sin King and Sun King and Our Lady for the Easter week. Thank you Jen. For some reason I took a pic of a Dandelion this morning. 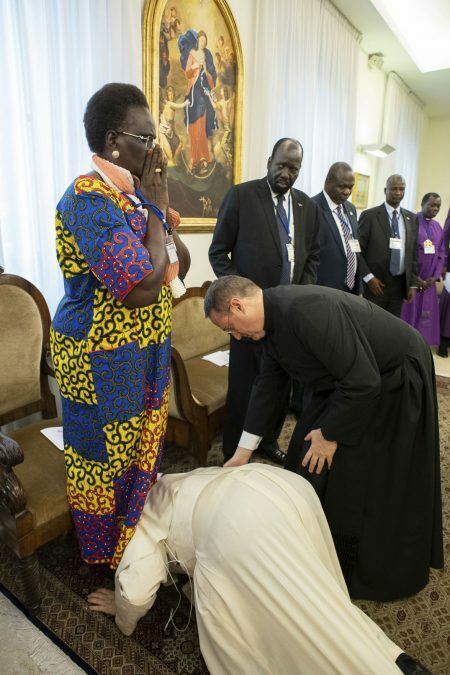 Pope Francis kissing the feet of Rebecca. REM Star 181. All work and no play. REM. And in the mirror MER. ‘It’s the End of the World as we know it’. Earlier today the first image from the Event Horizon Telescope of the ring of a Black Hole was revealed. People will have their own perspective and interpretation. Mine is ‘Why So Serious’. And Every Picture Tells A Story. In my stream the pic showed what looks like a little blue box – a rostrum I think – and the Black Hole was described by the Scientist as a Ring of Fire. When you stare into the Abyss, the Abyss grins back at you. And more giant alien Jellyfish. From a few days ago in Norway. The official story is that it was the result of NASA launching two rockets in a mission titled Azure. And a pic by Frank Olsen in Norway titled ‘Beam Me Up Scotty’. From Ripley’s Space X re-entry not long ago. Old Knight in The OA. 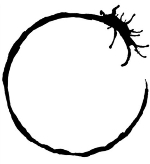 And Arrival movie with Amy Adams. And O Superman and Amy Adams. AA = 1:1.